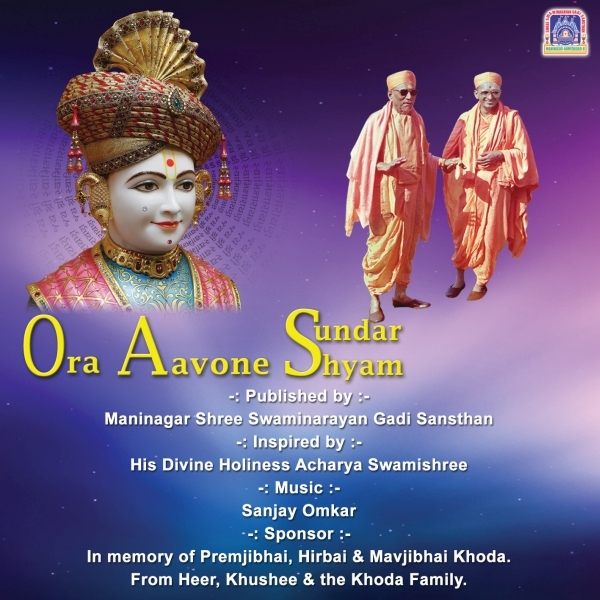 The CD of devotional music, called 'Ora Aavone Sundar Shyam' (Come to me oh beautiful Lord) is a splendid collection of songs directed by Bollywood playback singer Sanjay Omkar. This CD was recorded for the silver jubilee festival of Shree Swaminarayan Mandir, Kheda. The CD was released on Monday 23 February 2015, by His Divine Holiness Acharya Swamishree Maharaj.